I was in Kuching for about a month back in November 2011. Despite having work commitments on most of the days, I managed to explore the city – all thanks to Sherrie from Cutebun for taking me on a mini tour around Kuching. The only landmark that captured my attention has got to be the Kuching State Legislative Assembly, or also locally known as the Dewan Undangan Negeri. 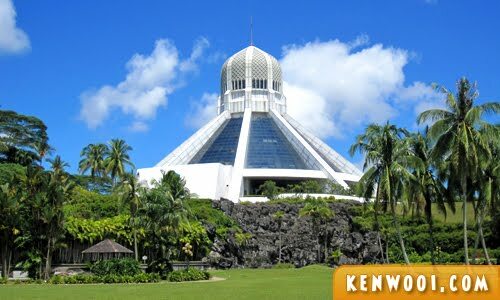 I personally find it fascinating, especially its architecture and the distinctive shape of the roof. 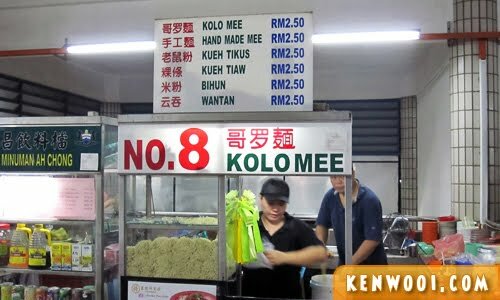 Oh, if you don’t mind me repeating – Kuching has got their own deliciously unique food! Other than the food, there are a few other places I went to in Kuching. 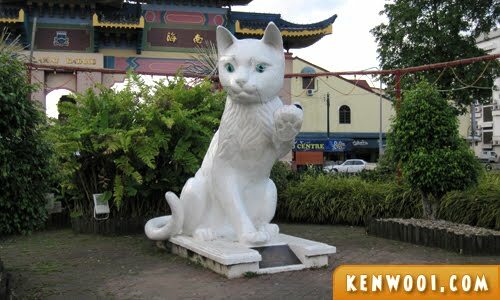 Non-Kuchingites, you can’t say that you have visited Kuching if you didn’t visit the Cat Museum. Yes, it’s located in the UFO-like building. To be honest, I was pretty excited to see the exhibition of cats. 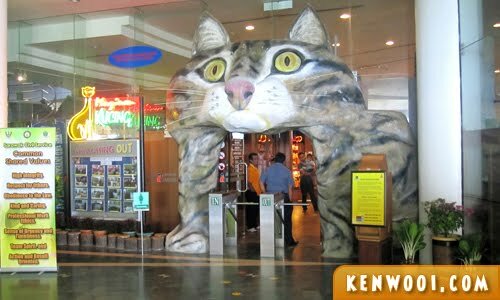 Hey, even the entrance to the Cat Museum is a gigantic mouth of a cat. Got even more excited, can’t wait to mess around with the pussies. Heh. 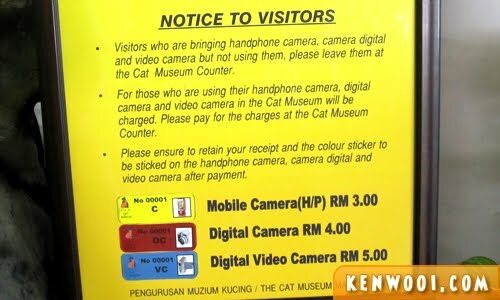 But when I was about to go in, I saw this notice stating… Those who want to use the camera within the museum… must pay? WHAT THE… CAT? What a rip-off leh. So you know what, I decided not to enter at all. Pffttt! 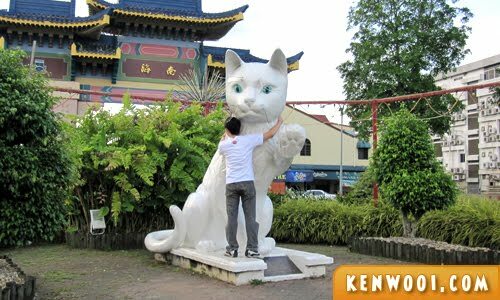 Since I’ve made the statement that “You’ve not visited Kuching if you didn’t visit the Cat Museum” earlier, just screw it. 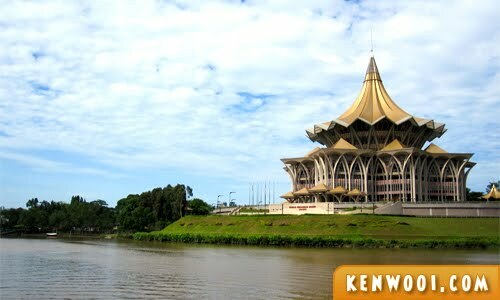 I have been to Kuching, still! Meow! 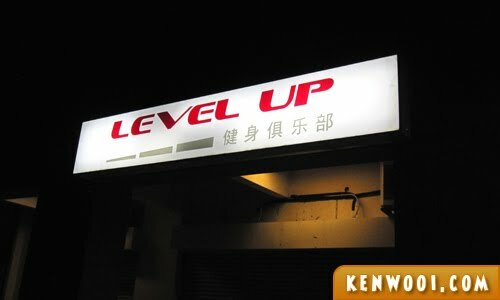 Another place was our ever-famous blogger Kenny Sia’s gym – Level Up. I went there at night, so it’s obvious that I didn’t enter and say “YO” to Kenny. Just took some photos and then off I go. 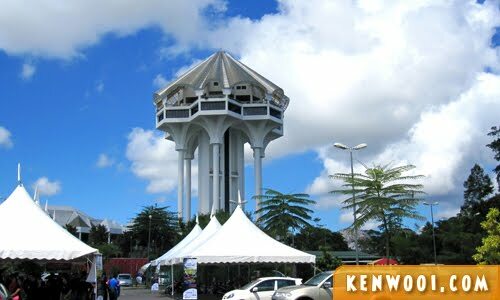 On some other weekend, I dropped by the Kuching Civic Centre. 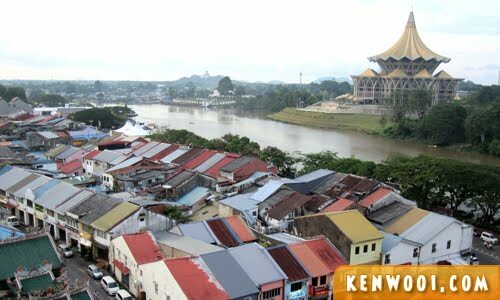 Apparently the cityscape of Kuching can be viewed from the top of the tower. I didn’t go up though. Initially I thought it’s a place where Honda Civic drivers do their gatherings. 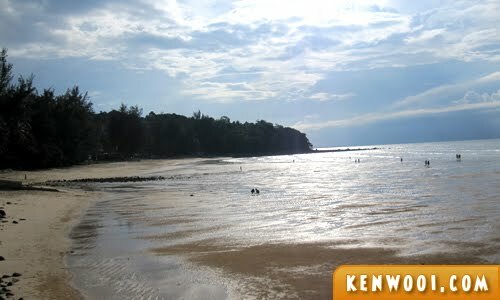 Anyway, a beach was on the to-visit itinerary as well. 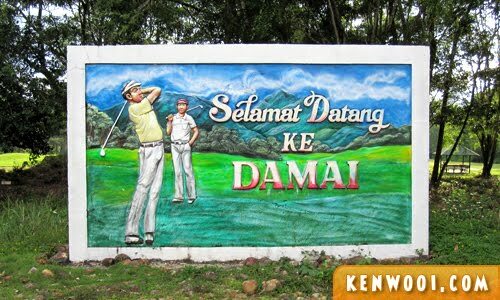 Damai Beach is about 30 to 40 minutes drive from Kuching. Smooth journey all the way, there was no traffic whatsoever. Wah Damai Beach, Y U SO PEACEFUL WAN? 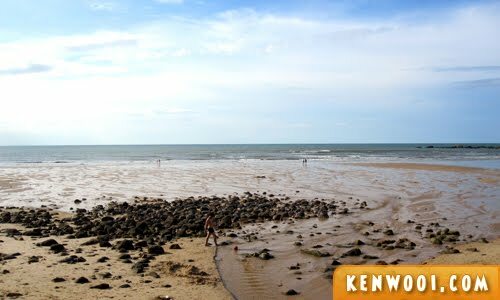 This must be some kind of reserved beach, kept perfectly well – maybe that’s why it’s a really beautiful beach. And Mount Santubong is literally just beside the beach. So, there are no signs of any beach activities at all – parasailing, banana boats, speed boats and chicks running around with bikinis. None. Just sounds of the waves hitting the shores of the beach. Peaceful indeed. I guess that’s the reason why no one comes here? Well, that doesn’t include tourists like me lah. This view is pretty common. Every tourist must have taken a photo like this right? A nice view of the buildings with colorful roofs with the State Legislative Assembly standing proud at the background. I may not have covered most of the places in Kuching – but overall, it’s a nice city. Yes, there are a number of adventurous activities nearby Kuching but I wasn’t equipped for that. 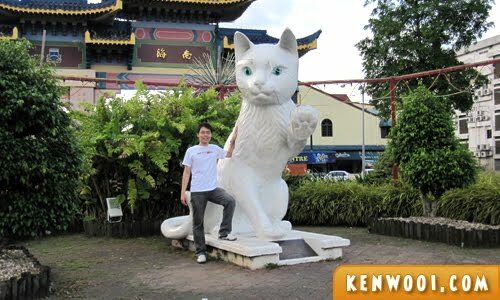 Oh by the way, one of the must-visit location in Kuching is definitely the famous white cat statue. First, is the… “Conqueror Pose“! 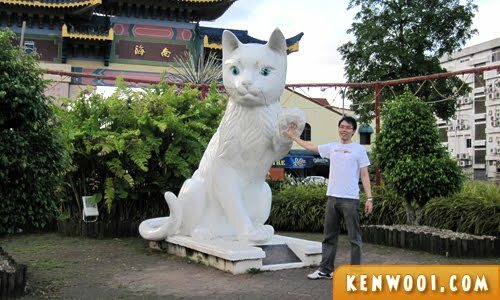 I came, I saw, I tamed the Kitteh, and I took a photo with the big white cat in Kuching! The second is the… “Cool Pose”! I gave the cat a paw 5! And the third and last one… the “Love Pose”! Glad u enjoyed the mini tour! Lol #catmance first time I heard this. So when are you coming to Sibu? You know CuteBun eh? She was in Sibu, Chinese New Year…Huai Bin’s friend but I did not get to meet her. I never entered the cat museum before. Hahaha! Walao eh the payment to take picture very cheap only ma, why you so kiam siap! i wonder what’s inside the Cat Museum. all lively cats meowing around eh? 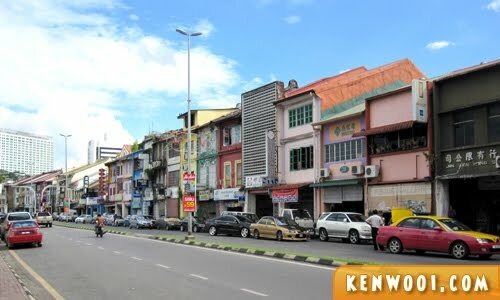 i was in kuching in May2011.